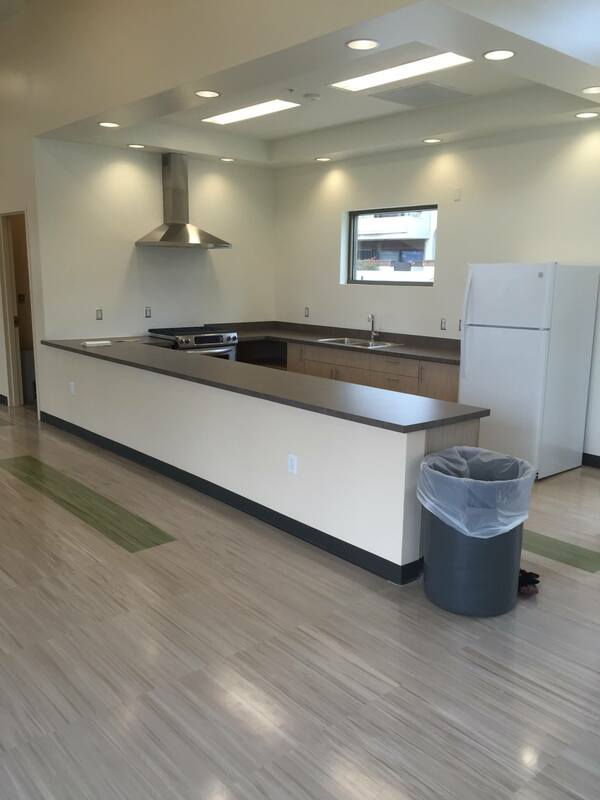 From small businesses to international headquarters, your business / corporate kitchen planning is a big deal. It is probably your employee's most important space. Remodel it right and you have more employees eating in, talking to each other (team building! ), and well, just plain more content. But if you make it too home-like it won't serve your purpose. 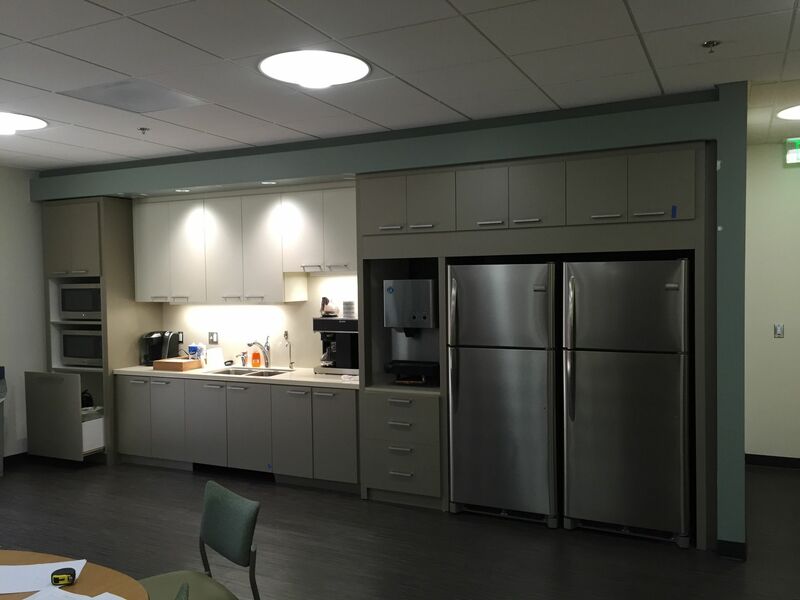 Corporate kitchens need to leave a lot of room for people to move about at the same time and it has to use the space in a way that offers full amenities without generating a lot of mess. It has to make it possible to eat quickly and comfortably. Think sitting area, cold food storage, sink and trash cans first. These are the bottom of the barrel basics. Next are a lot of questions. How big is your organization and how big will your new kitchen allow it to grow before you must remodel again? How many people take lunch at the same time and how many of those already eat at the office really frequently? Do an informal visual poll over a week's time and then send out a questionnaire that is due in a week. Continue your informal poll over that week and see if all your data gathered over the two week period supports each other. Ask yourself, "will it ever be a multi-use space?". Can you image having a 'working lunch' in it with a team?Will you ever need to quickly store away your tables and chairs? (Lunch Yoga? - Don't laugh, it does some serious good for your bottom line to have less stressed, happy workers) Should this space include a storage closet? Do you want to have employee only bathrooms and lockers sharing the room? From there you should be able to plan the size of your tables and the size of refrigerator you need. Let's move on from the basics of room amenities. If you want to impress potential hires and make your employees more content, make it beautiful. People want to be in beautiful rooms. In the end you'll be happier you spent the money. Your employees will feel like they are a priority and are cared for, thereby increasing productivity and lowering turn over of your best workers. In many of the largest corporations the kitchen is so much more than just a kitchen and sometimes meeting room. Comfortable couches, espresso machines, book racks full of industry-related magazines and gossip rags are practically standard. We've frequently seen dishwashers and the odd treadmill, too. Once you have some answers to basic questions, then call in a remodeling company that can custom make everything. Seriously. Shoving a prefab in your space is guaranteed to insure you lose space and prevent it from ever being very efficient. Local companies will help you design and plan. We treat all Businesses like VIPs!